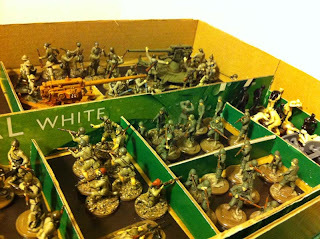 A box full of Italians on the go right now and they need a few 47mm guns - which I don't have. 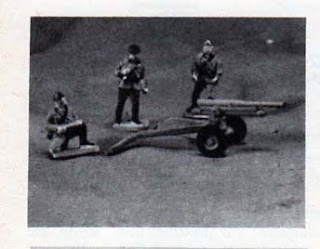 What I do have though are two very old Hasegawa US 37mm guns, plus an unmade one which should (I'm hoping) make some fairly good substitutes for a "Cannone da 47/32"
Inspiration came from a photo from an old Airfix article by Gerald Scarborough. Two of the ex-Hasegawa US 37mm guns now based and the third unmade kit has now been put together to represent a towed weapon. 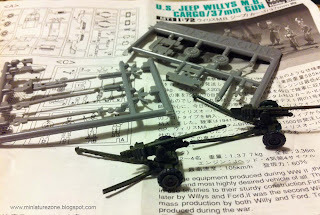 The guns, minus their breech blocks, now need painting up. I also need to put together a suitable crew. 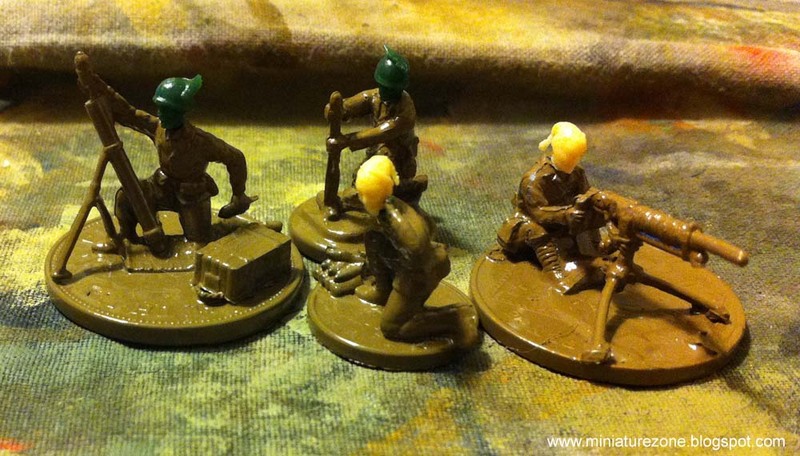 I have no Italians with mortars or heavy machine guns but this was solved with some head swaps - a mortar figure from the Esci WW2 French Infantry set, a crouching Esci WW2 US infantry figure and two figures from the Waterloo 1815 Japanese Infantry set. The Japanse HMG is "supposed" to represent a Breda M37. It's not perfect but it's not too bad either once painted up and when I've got the bases flocked it shouldn't be to obvious. And some of the Italian figures that are currently WIP. Great job John. 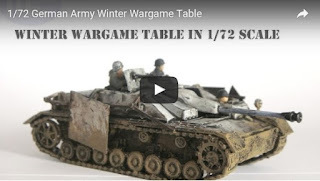 Probably one of the better uses for the ESCI French WW2 set at any rate. Cheers Paul. Yeah, the Esci WWII French are an odd bunch. 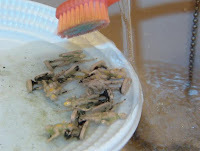 I also used the figure looking through his binoculars as an Italian too - I'll post a pic in a later post. Wow, I never thought of turning Japanese into Italians. 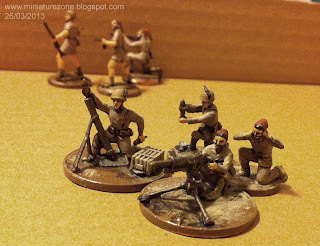 Inspiring work, now I might be forced to get some Japanes to make Mortar and gun crews. 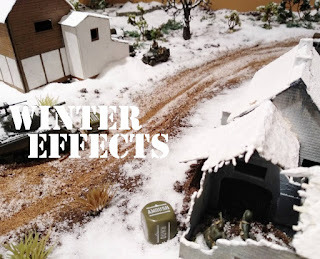 Thanks for all the neat conversions! 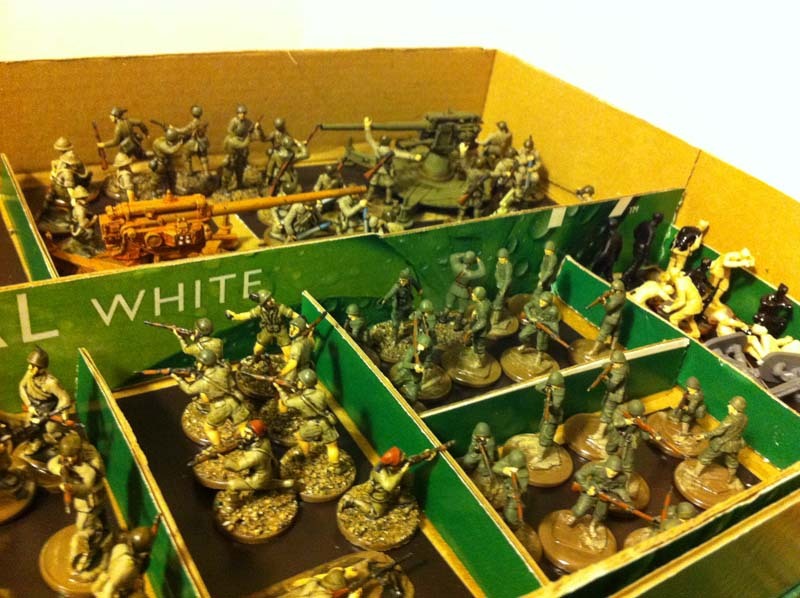 The Waterloo Japanese are quite good, but if you do get them you might find that one of the problems they have is that they are made from the very same plastic as the Caesar sets of figures and practically all the riflemen suffer from a droopy weapons sindrome.